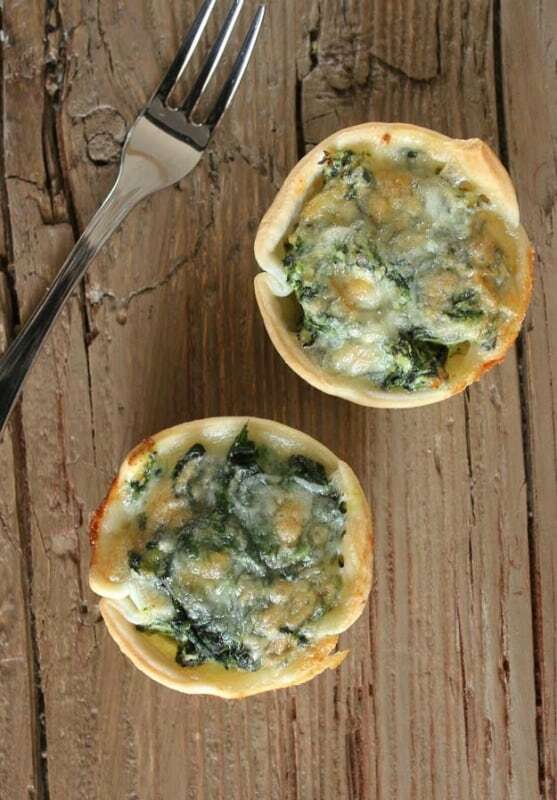 Ricotta Spinach Tarts a fast and easy appetizer. 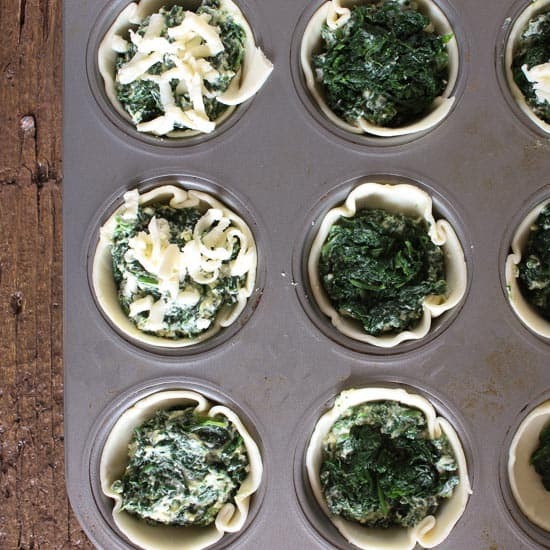 Pre-made pastry makes these filled to the brim Ricotta and Spinach filling the best. When I first came to Italy I remember my in-laws had some farm animals, including a cow and a couple of sheep. My mother-in-law would milk the cow and the goat and make the most amazing types of cheese. Needless to say ricotta was one of those. I didn’t like ricotta made from goat’s milk then and I still don’t. I find it too strong for me, but I know that most Italians prefer that strong taste compared to the subtle light flavour of the ricotta made from cow milk. She would make a delicious filling for pasta or just toss with some spaghetti, which is my father-in-law’s favourite. Unfortunately my in-laws are not able to milk and make cheese anymore, but it certainly doesn’t stop them from telling me the stories and lots of stories they have. 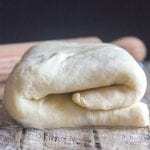 I remember my mother-in-law making her homemade pasta and of course it was all done by hand, no machine for her. She also made bread and I don’t mean a loaf or two, she would make enough to feed 4 households for a week! Oh the food I have tasted. Lucky for us ricotta is easily available, so no cow milking for me! 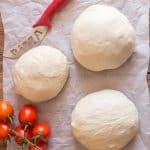 And what do I do with ricotta? 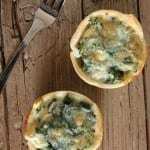 Well, I decided to make these small Ricotta Spinach Tarts. 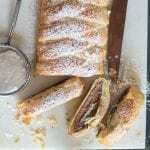 I used store-bought pastry but you could also make your own if you prefer. 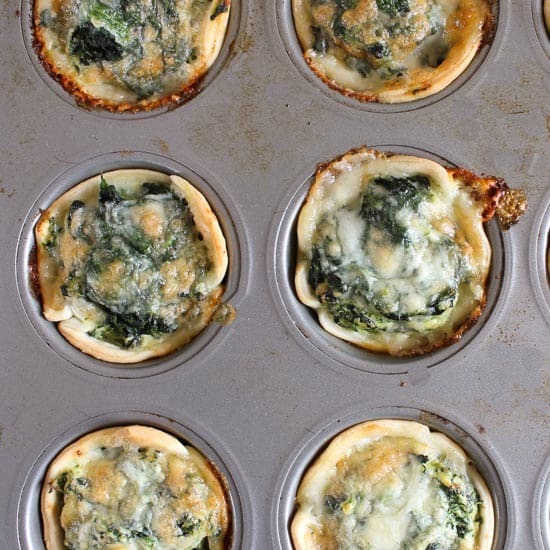 I cut out medium-sized circles and filled my muffin tin, then I filled them with this creamy ricotta filling topped them off with some more chopped spinach, sprinkle a little or a little more shredded mozzarella and into the oven they go. Fast, easy and better still, delicious. The perfect appetizer. Buon Appetito! 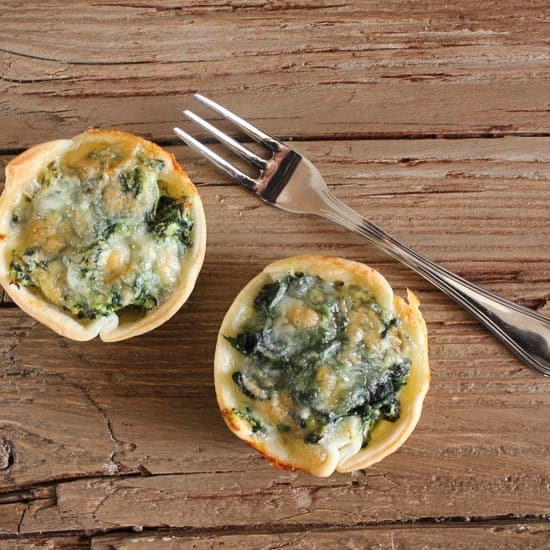 Ricotta Spinach Tarts are a fast, easy and delectable Italian appetizer. Perfect healthy appetizers for a party or any get-together. Pre-heat oven to 375° (190° celsius), lightly grease a 12 medium size muffin pan. 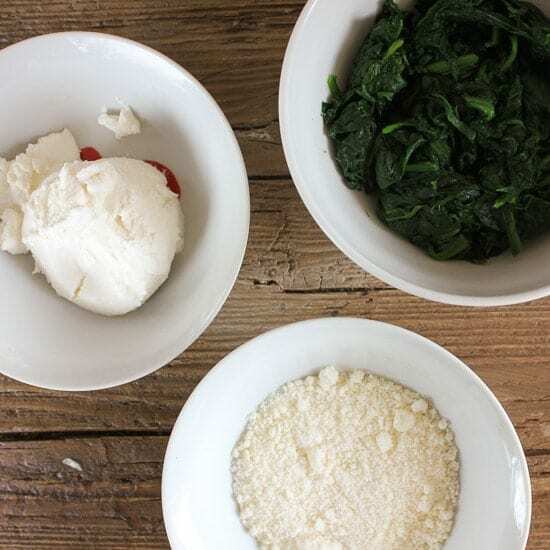 In a medium bowl mix together 1 1/4 cups (220 grams) chopped spinach, ricotta, parmesan, salt and egg. 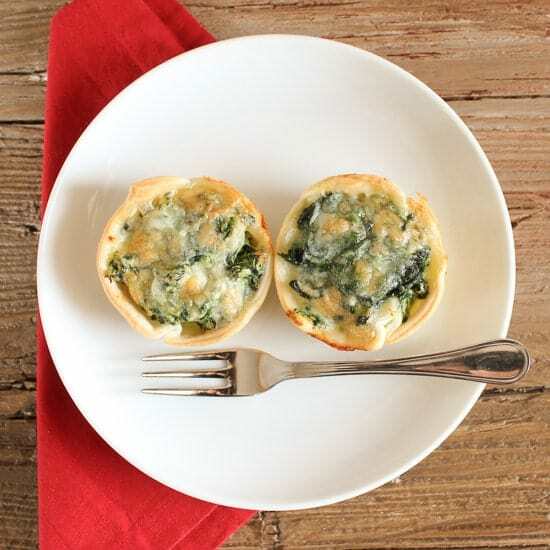 Cut out 9 medium size circles and place in muffin pan, fill with ricotta mixture and top with some of the remaining (1/2 cup/95 grams) chopped spinach. Top with shredded mozzarella and bake for approximately 20 minutes until golden. Enjoy! What happens to the Parmesan? Hi Ann, sorry about that, you mix it with the ricotta. 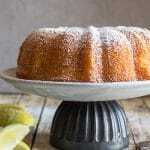 I have updated the recipes, thanks. Wow, these look awesome. They are going on my “to make” list! I Teresa, thanks I hope you enjoy them. Happy New Year. 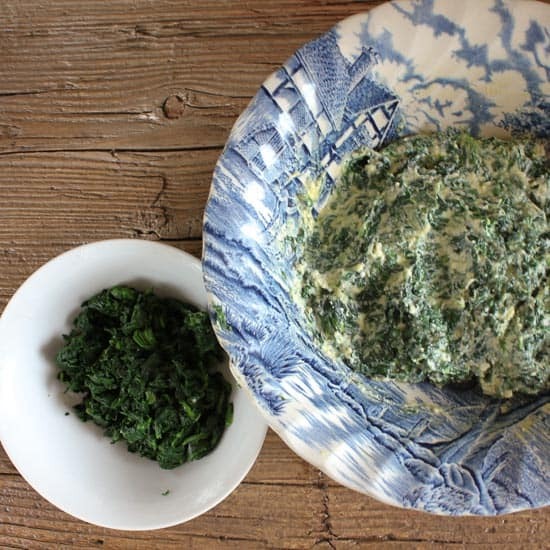 I was going to make some spinach appetizers for a get-together…this recipe looks way better! I love spinach anything…looks so good! Hi Veronica, I hope you like them let me know, I love spinach too especially with cheese. Not Fair!! I haven’t had breakfast and your antipasti are making me ravenous!! I will definitely have to make these. Hi Marisa, thanks hope you enjoy them, I’m sure you could have a couple for breakfast!